1415. The Battle of Agincourt is over, and the young French princess Katherine de Valois is the prize to be offered to Henry V of England. The innocent Katherine is smitten with Henry, but soon understands that her sole purpose is to produce an heir to unite England and France. Henry will take Katherine, not for her beauty, not for a treaty of peace – but for nothing less than the glittering French crown itself. For Katherine, a pawn in a ruthless political game, England is a lion’s den of greed, avarice and mistrust. And when the magnificent King leaves her widowed at twenty-one she is a prize ripe for the taking. Her enemies are circling, her heart is on her sleeve, her hand in marriage is worth a kingdom. "Another excellent read from the ever-reliable Anne O'Brien. Strong characters and a great setting make this highly recommended." "An absolutely gripping tale that is both superbly written and meticulously researched." 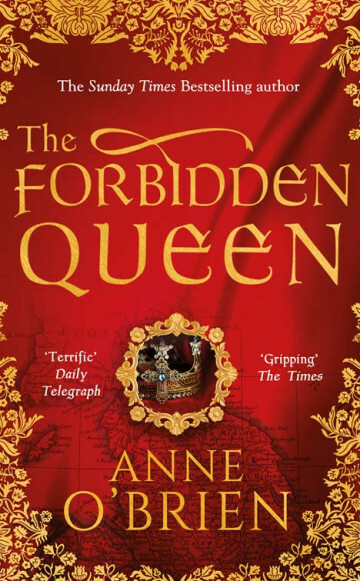 The story of the innocent young princess, Katherine de Valois, a pawn in a ruthless political game between England and France, and the woman who founded the most famous royal dynasty of all – the Tudors.